Coming Soon! Vegetables’ Destiny is a puppet show that tells the tale of a plate of vegetables that might not get eaten. This original story with 10 original songs written by Liz Joyce and Juliana Nash celebrates the destiny of these edible characters as they grow through the seasons in the garden. Space & Technical Requirements: Clear, performing area that is 15 feet wide, 15 feet deep and has a ceiling clearance of at least 8 feet. We provide wireless mic and professional sound or can work through your house system. 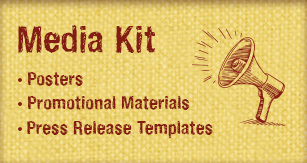 Media Kit – coming soon!